Dec 15, 2018 at 10:00a.m. - Dec 15, 2018 at 12:00p.m. 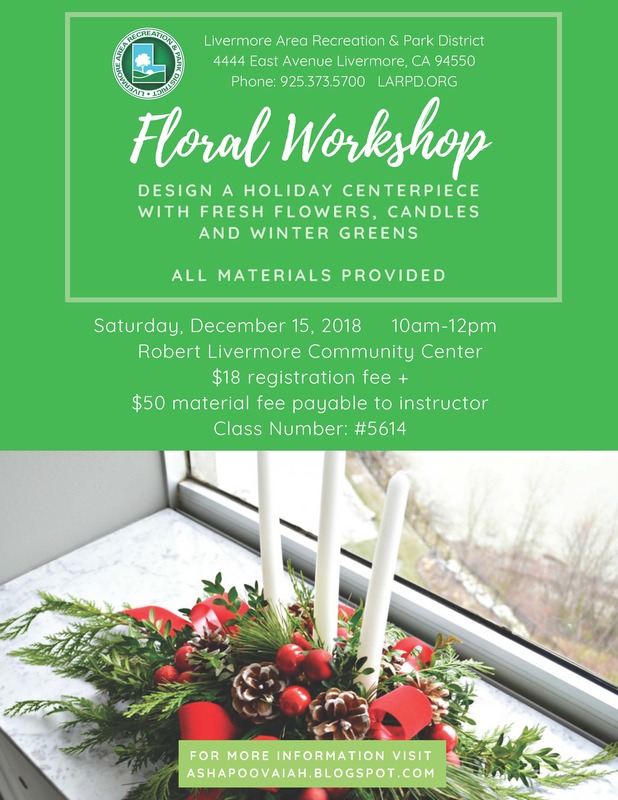 Design a holiday centerpiece with fresh flowers, candles and winter greens. All materials are provided. $18 registration fee + $50 material fee payable to instructor.